Everyone loves a great read don't they? Here we've compiled a list of the most recommended books for your own personal development and interest. Do you have a favourite not mentioned? Drop us a line in The Community and tell us about it! Let's make this a comprehensive list of the most inspirational reads out there. As suggested by Peter Abrams. We all have a voice, a story, in our head that talks to us, every 20-30 seconds. When we wake up to find Donald Trump is president, corporations are more powerful than countries and everybody is unhappy. The Story Needs To Be Rewritten. Our life is a story and it's time for an internal awakening of your inherent awesomeness, you have all the answers you need and you find them by looking within. It's time to become the author of your own destiny and the story-teller of your reality. It's time for your; Personal Revolution! As suggested by Nichola English. Louise L. Hay, bestselling author, is an internationally known leader in the self-help field. 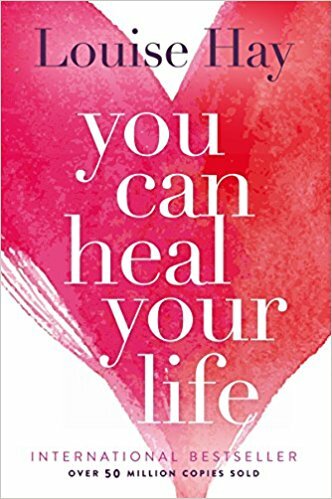 Her key message is: "If we are willing to do the mental work, almost anything can be healed" The author has a great deal of experience and firsthand information to share about healing, including how she cured herself after being diagnosed with cancer. An excerpt from You Can Heal Your Life: Life Is Really Very Simple. What We Give Out, We Get Back What we think about ourselves becomes the truth for us. I believe that everyone, myself included, is responsible for everything in our lives, the best and the worst. Every thought we think is creating our future. Each one of us creates our experiences by our thoughts and our feelings. The thoughts we think and the words we speak create our experiences. As suggested by Andrew Ball. Jonny Wilkinson's career has crossed three decades and four World Cups. He has accumulated phenomenal achievements, world points records, an impressive list of broken body parts, and a drop goal that will be remembered for ever. But the peculiar calmness with which he played the game masked a very different reality. In JONNY, he reveals the extraordinary psychology that he had to tame in order to be able to dominate his sport. For most of his life, he was driven by a quest for perfection and an obsession to be the best player in the world; here he shows how these two facets of his competitive mind took such a hold of him that they sent him to the top of the world, then swept him up and dragged him down into a spiral of despair. Jonny's career has spanned the far reaches: amazing highs and iconic moments, then a fight against injury that culminated in a battle with depression. Here he tells of the physical toll he knew his body was taking from rugby, even from his youth; he tells of how he never wanted to be a kicking fly-half but learned to adapt his natural game to play the style that Clive Woodward believed necessary to win a World Cup, and how he nearly walked out on Martin Johnson's England team 13 years later. As suggested by Susan Smalley. As suggested by Natasha Lee. As suggested by Natalee Tucker. In this book, you’ll learn how to use The Secret in every aspect of your life – money, health, relationships, happiness, and in every interaction you have in the world. You’ll begin to understand the hidden, untapped power that’s within you, and this revelation can bring joy to every aspect of your life.The Secret contains wisdom from modern-day teachers – men and women who have used it to achieve health, wealth and happiness. By applying the knowledge of The Secret, they bring to light compelling stories of eradicating obstacles, and achieving what many would regard as impossible. 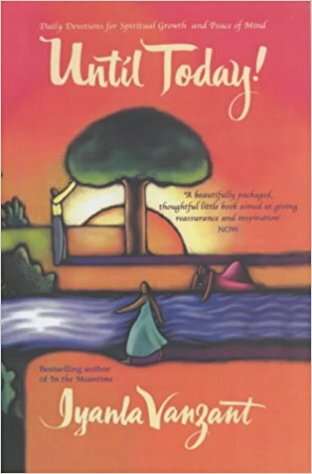 Discover the book which has been changing millions of lives around the world. No matter who you are, where you are right now, no matter what you want – when you realise The Secret you can have anything. 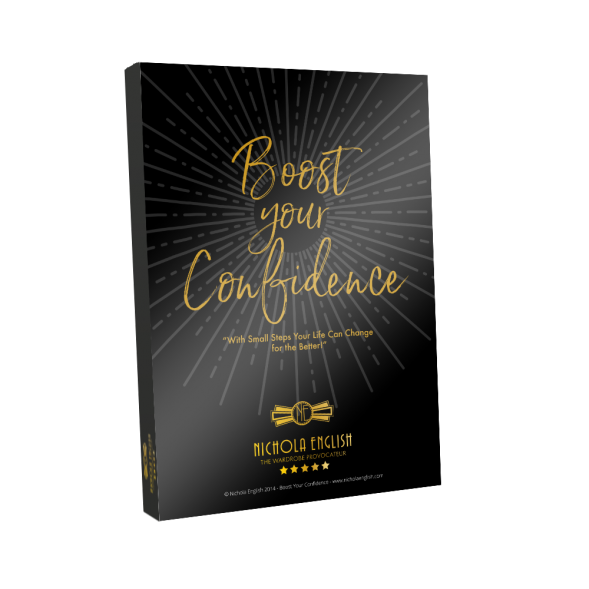 Boost your confidence is 44 page book divided into 6 parts designed to get you some of that self -confidence you deserve, its full of strategies to help you become unstoppable and break through your confidence barriers. Each of the 6 modules is designed with tools and techniques to help you to discover all need to know about getting more confident, and working through those barriers and limiting beliefs from just how confident are you? to how to lead a confident life. As suggested by Alessandra Maderni. Have you ever dreamed of a life full of laughter, love and sequins... But felt totally clueless about how to make it happen? You're not alone. I spent years in soul-sucking jobs, battling depression, an eating disorder, and a preference for chaos and disaster, simply because I didn't know how to create the life I dreamed about. In Radical Self Love, you'll begin to discover exactly what makes you so magnificent, and you'll uncover a litany of tools and techniques to help you manifest a life that bursts with magic, bliss and adventure. When you love yourself, life is limitless. You can do anything you want. It's time to throw off the shackles of expectation, and start living from your heart. It's time to astound yourself with how beautiful your life can be. It's time to treat every single day like a celebration... Cake, candles and confetti very much included! As suggested by Tricia Scott. Hey gorgeous! Are you suffering from a lack of get up and go? 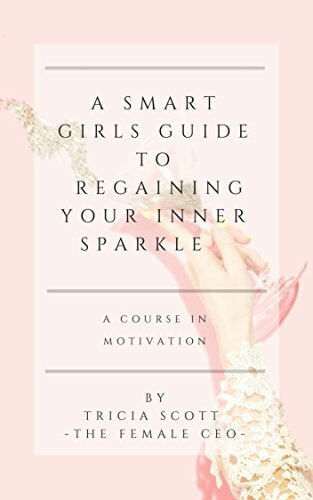 If you feel like your sparkle is dimming or has completely disappeared lately then I'm here to tell you that you can do something about it, and you can start today. This 10-part eBook has been designed to suit you and can be used as part of a daily or weekly practice. However, in order for it to work, you have to work. You need to get up, show up and bring yourself to the party (who doesn’t want to show up to the party, right?!) If you do, I promise we’ll have you sparkling and ready to go again in no time. You'll be on fire, and it's going to show in everything you do and to everyone you meet. As suggested by Lenka Lutonska. One of the most significant self-help books in the last 100 years, "The Science of Getting Rich" is a unified approach anyone can apply to make wealth and success. Wallace Wattles has used his experience extensively in creating wealth and came up with a comprehensive outline that can be construed as what it takes for an individual to become rich. The running theme and factor in this book is your mindset as an individual. Rhonda Byrnes accredits The Science of Getting Rich as an inspiration for her phenomenally popular book and film "The Secret". The book itself is made up of 17 direct-and-to-the-point chapters that teach the reader how to push past the mental barriers that, so easily, hold us up on achieving our goals.Many successful people openly confess that Wallace D Wattles formula contributed to their happiness and success both in their business and their personal lives. "The Science of Getting Rich" simple and clear principles to riches are holistic, solid and what every person needs to read again and again. Using his legendary ability to get to the root of human potential, Napoleon Hill digs deep to reveal how fear, procrastination, anger, and jealousy prevent us from realising our personal goals. This long-suppressed parable, once considered too controversial to publish, was written by Hill in 1938 following the publication of his classic bestseller, Think and Grow Rich. This book- now available in a smaller paperback format- is profound, powerful, resonant, and rich with insight. How many times have you asked yourself, "Why does my business seem so hard? Why am I struggling, when other women make it look so easy? . I understand, because once upon a time, I was you. But that s not where I am any more. What changed? I did. When I started to pay more attention to the spiritual nature of my business and trust my intuition, remarkable things unfolded. By focusing energetically on five critical areas of my business, I began to experience rapid growth. And so my principles of ENERGETIC SELLING AND MARKETING were born. - Lenka Lutonska Her results have often been nothing short of miraculous - women increasing their fees by five times and selling with greater ease than ever before; women booking themselves solid with their ideal high-end clients; women turning their annual income into their monthly income; and women doubling, tripling or even quadrupling their sales revenues within several months. With a foreword by CEO Penny Power, OBE, this book is an essential read for any entrepreneur who wants to open their minds to the possibility of extraordinary growth and create lasting and aligned business success.